Pastor Jerome F. Talley was born November 4, 1968 in Detroit, MI the second eldest of eight children to Odessa Talley & Robert Edward Turner. A Product of the Detroit Public School System Talley attended Western International high school & Chadsey high. Pastor Talley Met the Former Theresa M Powell while attending Western International High School. They were married on January 27, 1990 and have two Children- Jason Edward Talley 25 and Jerome Franklin Talley JR 23 who are also very active in ministry. Pastor Jerome and his Lovely wife Dr. Theresa Talley received Christ as there Lord and Savior in Jan 1991 after watching Dr. Frederick K.C Price Nationally Televised Ministry program, and they both were filled with the Holy Spirit with the evidence of speaking in tongues later in that year, by the instruction and advice of Dr. Price they went to and was planted in a local church home. Pastor Talley received his training in the Word through his Spiritual Father, Mentor and Apostle Dr. Frederick K.C. Price. 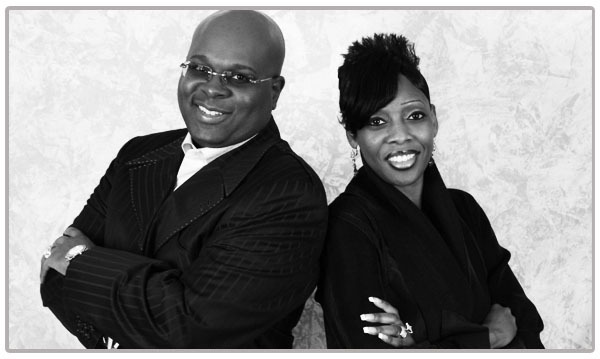 Pastors Jerome & Theresa Talley Founded Daylight Christian Center Church in 1996. Pastor Jerome & Dr. Theresa Talley were also ordained by Apostle Dr. Frederick K.C Price & Dr. Betty Price and are Members of the Fellowship of Inner City Word of Faith Ministries (FICWFM) which is under the Leadership of Apostle Dr. Frederick K.C Price pastor of Crenshaw Christian Center (Los Angeles, CA and New York, NY). 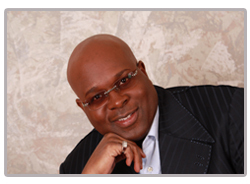 Pastor Talley is a teacher of the Biblical principles of Faith, Healing, Prosperity & Management and the Holy Spirit, during his years in ministry; countless lives have been changed by his dynamic and insightful teachings that truly will increase your Faith. He is the Founder of the What Real Faith Is (WRFI) Television Broadcast as well as the (WRFI Conferences) held in Detroit yearly to feed the Body of Christ, Biblical Principles of Faith empowering the body to live by Faith and please God daily. The Marriage of Pastors Jerome & Theresa Talley has spanned over Twenty three years now, and In Ministry for over Thirteen years, they are known in ministry as the Dynamic duo. 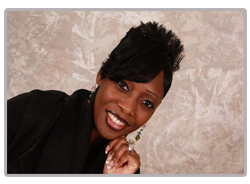 Dr. Theresa M Talley was born Theresa Marie Powell on March 5, 1970 in Detroit, MI. The eldest of seven children to Patricia & Clarence W Powell. Pastor Theresa a student of the Detroit Public School system, attending Newberry Elementary School, Condon Middle School and Western International High School where she met Pastor Jerome F Talley in 1984. Dr. Theresa Talley attended Virginia Farrell College for Cosmetology in 1992 and graduated the top of her class in 1993, and was licensed that year by the State of Michigan. Dr. Theresa Talley has four Degrees in Ministry in which she received from the Christian Bible College and Seminary of MO, an Associate in Christian Education, a Bachelor in Theology, a Masters in Divinity and Doctors Degree in Divinity of which she completed April 2011. Dr. Theresa Talley was married to Pastor Jerome F Talley on January 27, 1990 at the age of 19. Their Marriage has spanned Over Twenty three Years and Their ministry over Thirteen Years. She Pastors with her Husband they are known by most as the Dynamic Duo in Ministry. Pastors Jerome & Theresa Talley have Two Children Jason Edward Talley 25 and Jerome Franklin Talley JR 22 who is active in there parents Ministry and Vision. Dr. Theresa Talley was ordained by Apostle Dr. Frederick K.C Price & Dr. Betty Price her Spiritual Parents and Mentors. She is a member of the Fellowship of Inner City Word of Faith Ministries (FICWFM), which is under the Leadership of her and her Husband’s Apostle Dr. Frederick K.C Price Pastor of Crenshaw Christian Center Church (Los Angeles & New York). Dr. Theresa Talley is the Founder of the Women of Integrity (W-O-I) inspired by her spiritual Mother and Mentor Dr. Betty R. Price. Pastor Theresa Boldly teach Women & Men how to Build Godly Character and Integrity, Live by Faith, Walk in the Wisdom of God, Live Holy lives, Live in Good Health, Prosperity and how to live in the preventative and walk in Gods best in life right now.